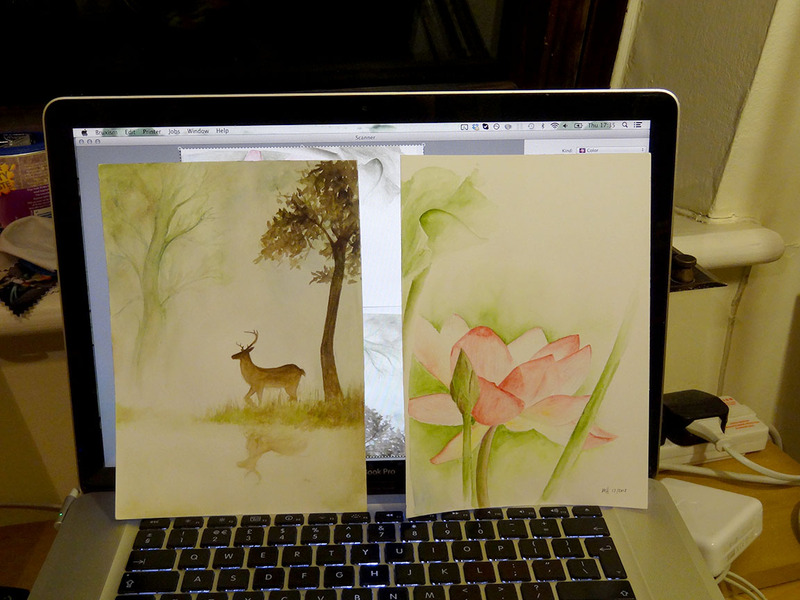 A scan of the stag in the mist, and a new painting of a lotus flower. Christmas gifts… Sod’s law I figured out background shading half-way through the lotus flower! Previous PostPrevious Deck the halls!